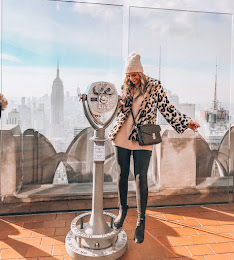 I've never been much of a match-matchy girl or a rule follower when it comes to how I dress, and the "no white after Labor Day rule" is no exception. 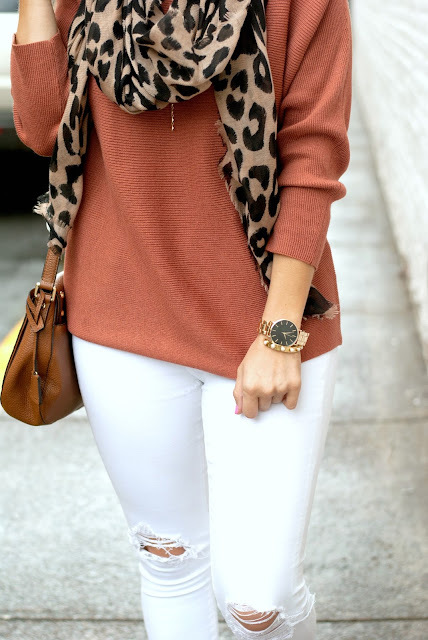 "Winter Whites" is now a fashion term that I love! 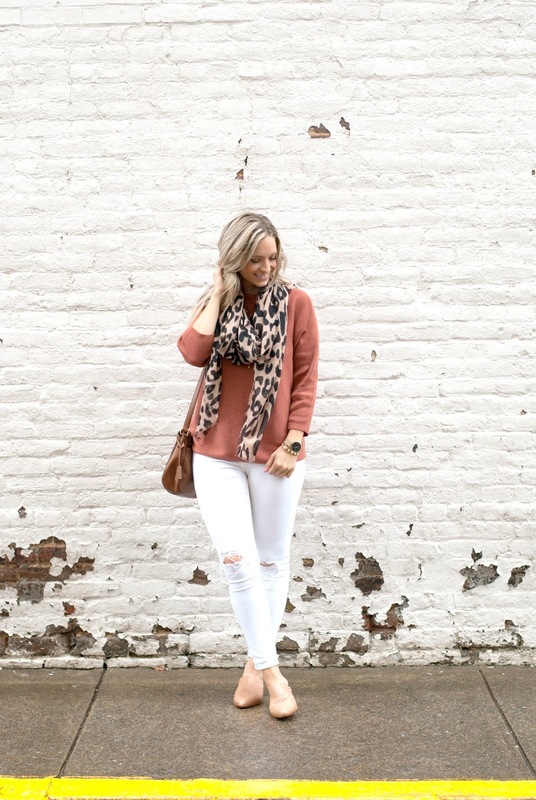 These are my fav white jeans that you've seen me wear over and over again. They're so stretchy & comfy. I went a size down like the reviews suggested and am happy with the fit! From now until 9/25 they're on sale for 30% OFF here! My sweater is from last fall and they don't have the /exact/ rust color out yet but they do have the exact style out, so I've linked that in some other cute fall colors. I also linked a gorgeous bell sleeved rust colored sweater that I'm about to break down and buy reaaaallllll soon, cause it's only $39! 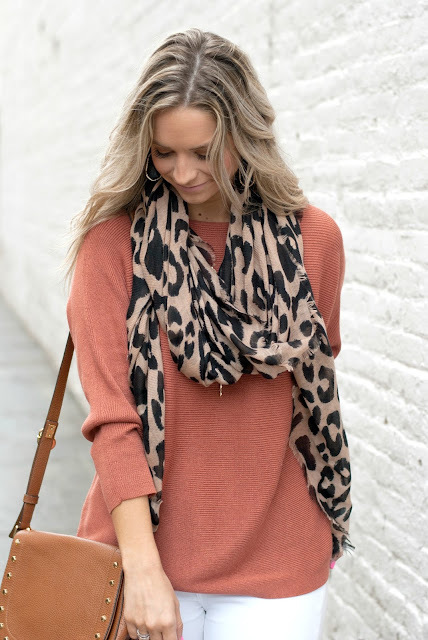 This leopard scarf is only $19 with free shipping and is going to be a fall staple for me! I have an older leopard infinity scarf that I got years back & it's wearing out, so it was time for a new one. I'm so sad my watch is sold out! I linked it anyway so you can keep an eye on it if you want, as well as a very similar one that I also love!